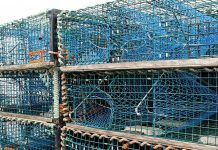 According to the history books, there has always been some debate on how the lobster fishery got started in southwestern Nova Scotia. 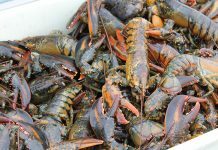 One scholarly theory speculates that the lobster canning industry was already booming in the New England states when Charles Mitchell, a Scot who had worked in salmon canning near Aberdeen, arrived in Nova Scotia in 1840. 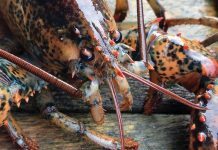 Soon thereafter he entered into partnership with a Mr. McPherson and established a lobster factory in Liverpool, Nova Scotia (one of the earliest on the eastern seaboard). According to research by Memorial University’s Kurt Korneski, there were two main reasons for the expansion of the industry into this area throughout the latter half of the 19th century. 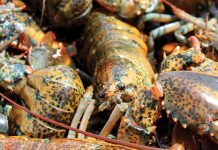 First, lobster canning could be a highly lucrative industry and this profitability during the early years encouraged other canners to expand into new territories. William Underwood and Company, for example, was one of the earliest canners operating on the Bay of Fundy in New Brunswick, while W.K. Lewis and Brothers built some of the earlier factories near Halifax. 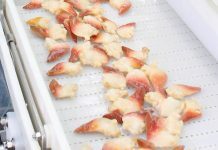 Burnham and Morill also established early canneries in Halifax and Guysborough counties before branching out into Cape Breton and the Northumberland Strait. 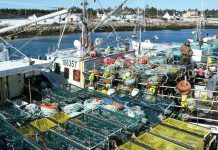 Maine lobster packer Winslow Jones established factories in New Brunswick, Quebec (including the Magdalen Islands) and Nova Scotia, while members of his family, having learned the trade from him, headed off to pioneer the salmon canning industry on the Pacific Coast. Similarly, while it is not clear where he learned the trade, but A.C. White, a native of Haverill, Massachusetts, partnered with a tin smith named Whidden of Yarmouth, Nova Scotia. 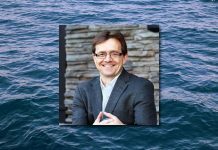 According to Korneski’s research, while White’s first forays into the industry were disappointing, he went on to success in nearby Port Mouton. By 1890, the number of factories in Canada had climbed to at least 331 (133 in Nova Scotia, at least 100 in New Brunswick and 98 in Prince Edward Island). Five years later, when canning ceased almost altogether in the United States, the number of operations in Canada had increased to approximately 650, though here again the large canners found it increasingly difficult to sustain themselves and smaller operations began to take their place. 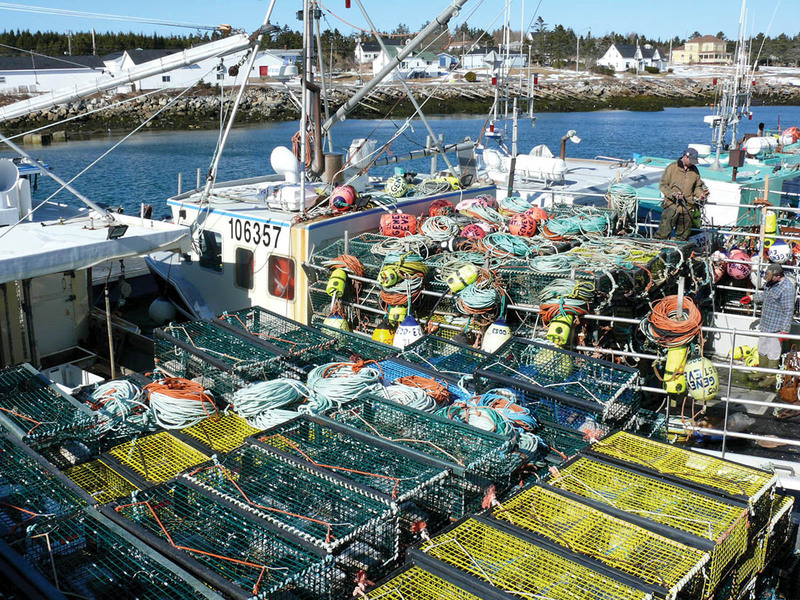 These industry forefathers laid the groundwork for today’s billion-dollar industry in Nova Scotia, which is fueled by the lobster fishing areas (LFAs) 33 and 34 right off your shores. 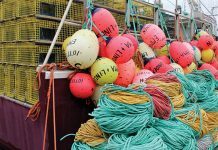 What would these gentlemen think if they could even glimpse the modern fishery of today with its record-setting catches and prices? 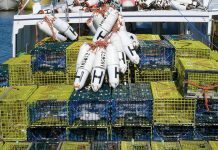 Would they have even dreamed of scenarios where locally-caught live lobster was being flown halfway around the globe in jumbo jets to hungry consumers speaking dozens of different languages? 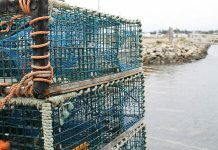 It is safe bet to assume that well-known American author and speaker Joyce Meyer was not referring to the lobster industry when she penned the words “small beginnings are the launching pad to great endings,” but it sure fits the bill in this case — creating the catalyst that drives the Nova Scotian economy and employs thousands.